Doug Hillmer has prepared the following presentation and documentation on the statistical calculator. 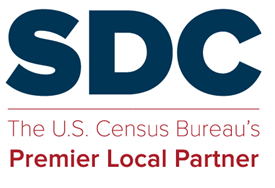 This tool will allow users to calculator margins of error (MOE) to be used in conjunction with data products published from the American Community Survey. Click here for the PowerPoint that was presented as a webinar on October 15, 2010 for APDU (Association of Public Data Users). Click here to view the requirements documentation for the statistical calculator. This entry was posted in Tips and Documentation and tagged ACS, Calculator.